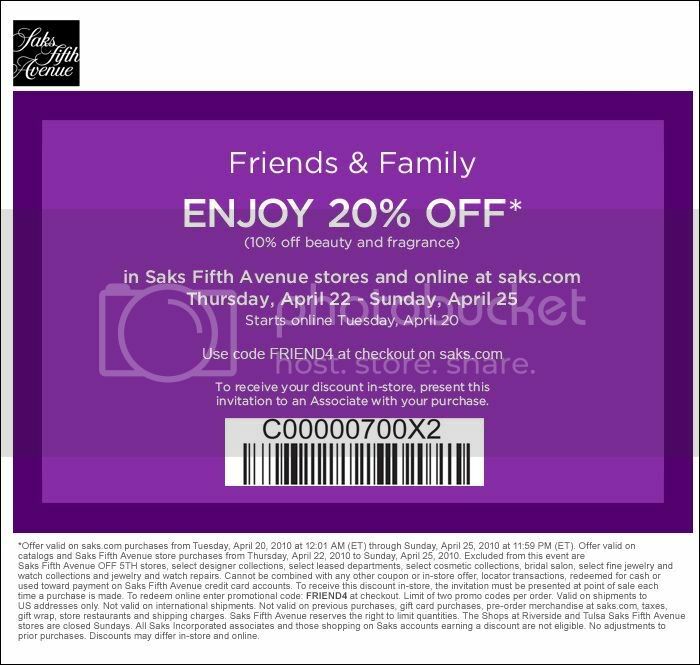 My friends at Saks recently sent me an event invite and a coupon, and told me I could share it with you. If you do realize that you have a few Benjamins to spare (I unfortunately do not thanks to house renovations and landscaping bills…boo) and spring for a new pair of Jimmy Choos, you’ll get a free Choo 24:7 tote bag. I talked about the new 24:7 line here. Saks also sent me a coupon to share with you. BTW, I’m not being paid to tell you about this and I don’t get any residuals if you use this, just so you know. I just want to share in case you were planning on buying something, and could use the discount! I’m on the hunt for some new mascara (aren’t we all). I read this article about the top five mascaras based on expert reviews, so I’m going to stop in and give them a try and use my coupon if I decide to make a purchase! I’ll let you know if any of the mascaras rock my world! : ) Have a great weekend!